Victoria Beckham is stylish in stripes at fashion gala | HELLO! Victoria Beckham is always one step ahead of the fashion crowd, and her latest outfit was no exception. 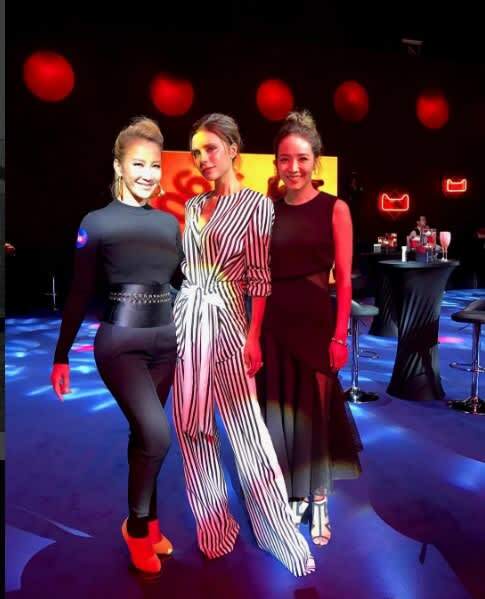 The fashion designer stepped out in a monochrome striped jumpsuit from her pre-AW17 collection to attend the Tmall Shopping Festival Gala in Shenzen, China on Wednesday. With a tie waist and floor-skimming wide legs, the striking design ensured Victoria turned heads at the fashion event, and is sure to be a hit when it finally hits stores next summer. The 42-year-old complemented the look by tying her hair back into a loose bun and wearing smoky eye make-up. 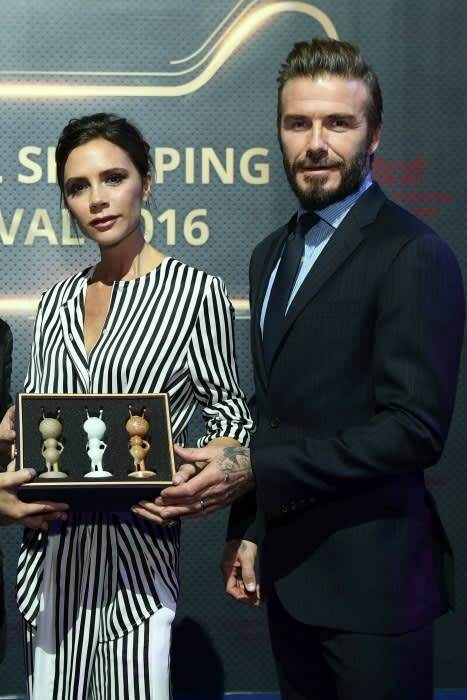 Victoria was joined by her husband David Beckham at the gala, marking a rare official work appearance for the pair. David looked equally stylish in a navy suit teamed with a pale blue suit and tan brogues. Both he and Victoria took the opportunity to catch up with some of their friends at the gala, including Kobe Bryant and singer Coco Lee. The busy couple were reunited in China after spending a few days apart through work. While David had previously been in Japan through his work as an Adidas ambassador, Victoria spent the last few days in London with their four children. At the weekend Victoria shared her pride in their daughter Harper, five, by sharing a picture she had drawn of herself with her parents on Instagram. "Happy Sunday X VB," the former Spice Girl captioned the drawing. Harper and 'Mummy' wore matching colourful dresses, while 'Daddy' David sported a pink T-shirt and shorts. Some followers even commented on Harper's accessories, writing, "Love Harper's earrings!" while another posted: "Victoria you have a very nice dress." Other Instagram users were amazed by the little girl's use of perspective, with one noting: "Her chairs are so freakin' realistic!"